Like other healthcare providers, your dentist keeps records of your ongoing care. These include not only their written notes but also x-ray imaging, frequency of visits and cleanings, and any medical information that could affect your care. What’s more, they have a legal obligation to maintain these records. Your dental records help guide decisions about your care. In that regard, you should consider something else—you may need to change providers: your dentist retires or you move; your dentist isn’t in your new insurance network; or, unfortunately, you have an “irreconcilable” difference with your provider. If that happens, it’s very important your dental records find their way to your new provider. Here are 3 reasons why. Your individual dental history. Each person’s dental situation and needs are unique. Your past records help clue in your new dentist about your past history and current needs, which will help guide how they treat you. Time and money. 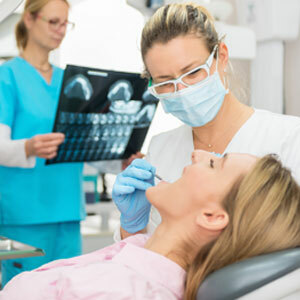 Your dental records contain x-rays or other diagnostic information about your oral condition, including preparations for any upcoming dental work. If you change dentists before completing that treatment, your new dentist may have to start over with new diagnostic tests if they don’t have this previous data. It could cost you more money and make you wait longer for a needed procedure. Coordinating dental care with your general health. Your mouth isn’t isolated from the rest of your body, and some dental treatment measures could affect other health conditions (and vice-versa). If your new dentist knows other health issues you may have from your previous records, it can help ensure you’re getting dental treatment appropriate to your overall health. For the most streamlined transition between providers, it’s important your dental records follow you. You’re entitled to having those records transferred, and, if you’re uncomfortable asking yourself, your new provider can obtain them for you. Just be sure to ask.